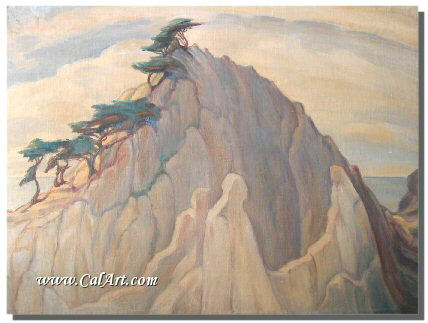 ADELE WATSON (1873-1947) Modernist painter, muralist. Born in Toledo, OH on April 30, 1873. Watson studied at the ASL in NYC and with Raphael Collin in Paris. After spending the early part of her career in New York, she was active in Pasadena, CA from 1917 until her death. Her work includes landscapes, portraits and nudes. MEMBER: AAPL. EXHIBITED: California Liberty Fair, 1918; Painters & Sculptors of LA, 1925. She is listed in HUGHES, Davenports, Askart, Artnet, Who's & more. Biography courtesy of Edan Hughes. 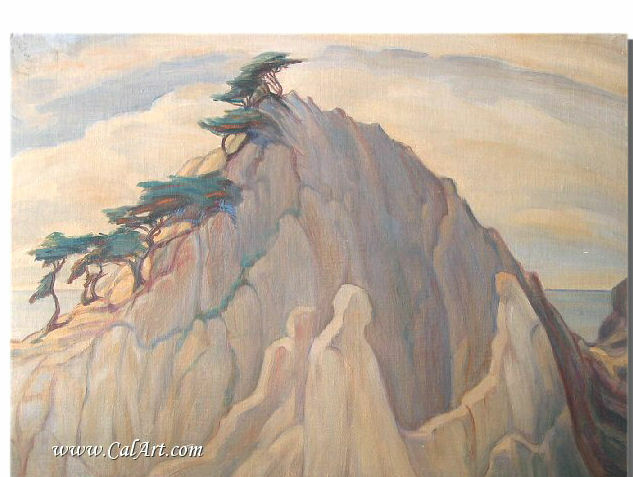 This is a HUGE original oil painting on canvasboard by California painter Adele Watson. 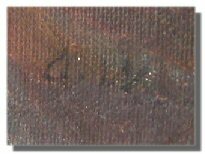 Painting is initialed lower right "A.W." & has "ADELE WATSON" written on back. Entire piece measures 30" x 40" & is in Excellent Overall Condition (there are a couple minor nicks and a couple tiny spots of touch up at the top left and lower right corners).